This week's Net Picks focuses on bright, cheery designs that call to Spring! I have to admit that growing up in Hawaii, I really have a narrow view of the seasonal spectrum. I think that we only experience maybe half the seasons: mid spring thru early fall (if that). Right now it's "winter" here and I think this year, we've experienced lows in the upper 50's (farenheit, around 15 celcius). Our winters are usually marked by the "lower" temperatures and wetter weather. Although we may not experience the dramatic change from winter to the rebirth of spring I can still appreciate what that change inspires! I love the colors of spring, the pastel to bright hues, lovely shades of green and warmer tones. Here are four lovely designs that just feel spring-ready! Cathy Nordström - Cathy Nordström is a designer from Stockholm. She spent a decade as a graphic designer before pursuing her dream of surface/pattern design and illustration. She's now mainly focused on her surface pattern and illustration work. I really appreciate her use of colors. The combos Cathy chooses are subtle but so beautiful. She'll use soft pastels with just a pop here or there of brights in just the right places. I also love how detailed her work is! Definitely worth a look into her pattern and illustration portfolios! Her Instagram feed is also full of beautiful patterns, photos and inspiration! Mini Labo - Céline Heno and Caroline Diaz worked as a duo for over a decade together before creating Mini Labo. Their designs are so retro chic with a modern flair. Designs include whimsical florals, modern geometrics and cute illustrations. Mini Labo's lovely surface designs decorate a variety of products including stationery, homewares, accessories and prints. Their online shop has an array of their products and you can find more product shots on their Instagram feed. Carolyn Gavin via Eco Jot - Carolyn Gavin is a wonderfully talented illustrator and designer. Not only is she a cofounder of the environmentally responsible Ecojot, she also is a successful illustrator who is represented by Lilla Rogers Studio. I love Carolyn's work because she hits on three marks: 1) Bright and bold colors and shapes, 2) versatility, she works in both watercolor and traditional media and digital and 3) she crams in a LOT of beautiful details into her work. Please check out her Instagram feed where she shares a lot of her sketches and watercolor work! Wendy Kendall - Wendy is a freelance surface pattern designer in the UK. Her work is so lovely. 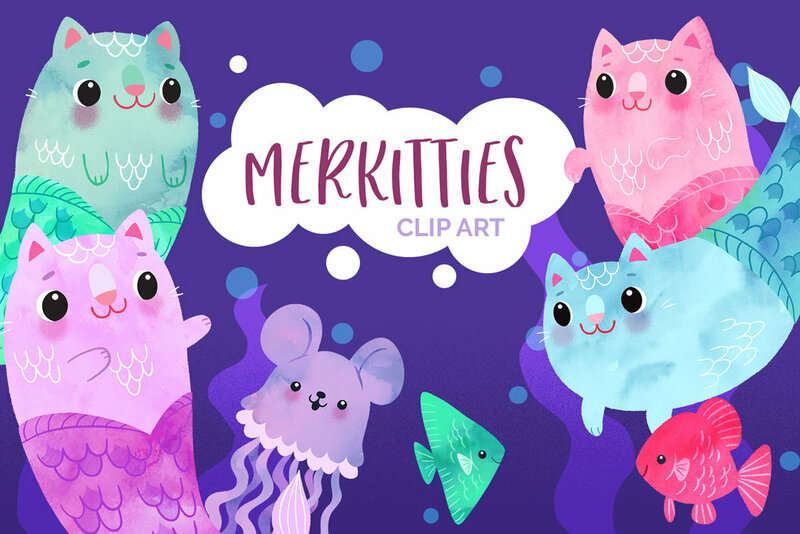 Her website portfolio has a ton of her designs! Her subjects include florals, geometrics, cute characters and much more. Wendy mentions in her about page that she loves using bright colors against a white background and I can appreciate that! I often thought that you should avoid white backgrounds but all of Wendy's designs that incorporate white as the background color are all successful. I think it's because she balances it with strong shapes with bright colors and incorporates plenty of delicious details in her work. Check out her Instagram feed for more of her lovely work! I'm not sure what it is about florals but they are always a popular subject for pattern and surface design. Maybe it's because flora are so beautiful, perhaps it's because there is such a wide variety of shapes and sizes. I always find it amazing how there can be so many designs and yet each designer has a unique take on how they interpret their florals. I guess one thing is certain, flowers as theme for surface design and patterns are here to stay! Net Picks - Tropical Inspired Designs - I'm sure many of you are still experiencing the typical cold weather that comes with winter so I thought I'd showcase a collection of lovely warm, tropical selections for this week's Net Picks!more I was born and raised in Hawaii so I'm not a stranger to tropical weather (I've only experienced snow once in my life)!